Zero Dark Thirty does not advocate torture. To not include that part of history would have been irresponsible and inaccurate. […] We are outraged that any responsible member of the Academy would use their voting status in AMPAS as a platform to advance their own political agenda. [And] while we fully respect everyone’s right to express their opinion, this activity is really an affront to the Academy and artistic creative freedom. This attempt to censure one of the great films of our time should be opposed. Bigelow and screenwriter Mark Boal have mostly kept quiet on the matter, as some in Congress are said to be interested in subpoenaing their CIA sources. 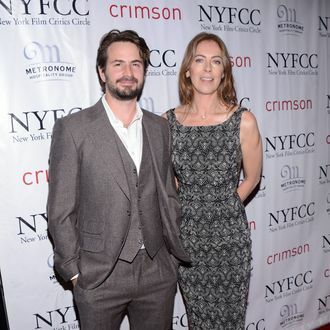 However, at an American Film Institute awards luncheon yesterday, Boal told Deadline that he doesn’t plan to “sit back and stay silent” about the accusations made against his movie forever. After all, there are Oscars at stake here.